The initial conversations are now lost to memory but at some point towards the end of 2016, no doubt over a couple of pints, we decided to try and open a pub. It must be a fairly common conversation, who doesn’t dream of owning their own pub? We had mates who were thinking the same: one was trying to open a bar in the Northern Quarter in Manchester; another was considering opening a brewery near Winchester. No doubt all motivated in part by the realisation that after ten or so years in the world of work, it would be great to put some of our time into creating a business we could call our own (and of course, there would be beer involved). We were well aware these conversations often started and ended in the pub. 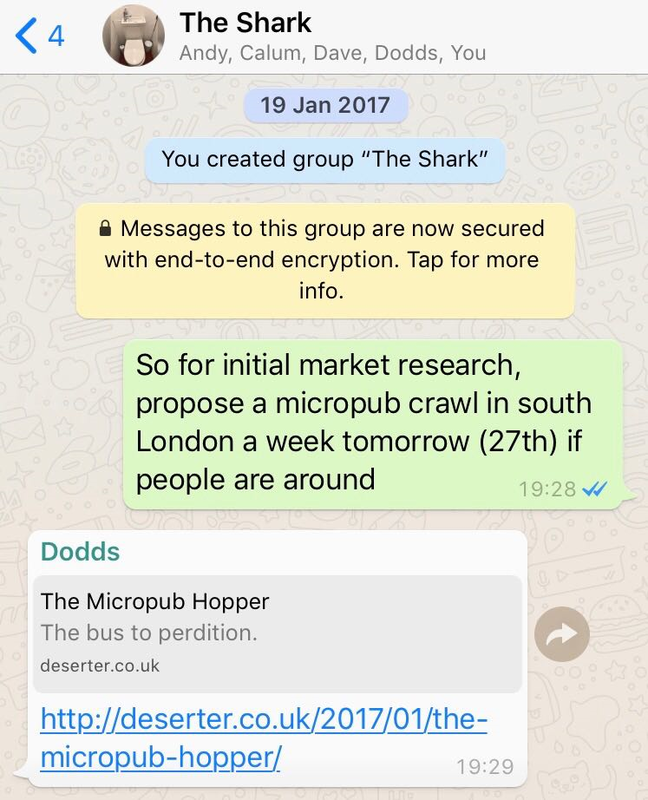 The trigger for thinking we could actually do it was the extraordinary growth of micropubs in recent years: in January 2012 there were 15 micropubs in the UK, six years later there are over 300. It was a phenomenon I only became aware of when it was discussed on the first Deserter pubcast. We were inspired by the tales of people, who like us, with little to no experience of the licensed trade, were successfully converting empty high street premises into thriving small pubs. Over a year and a half later, we have found a suitable premises and are applying for the necessary permissions to open our own. All being well, we should be able to open in October/November 2018. It’s taken a fair amount of work to get here and over the coming weeks and months we’ll share with you on this blog how we went about it. We are Andy, Ben, Dave and Graham and we are hoping to open Camberwell’s first micropub in early 2019. A home for the Shark?